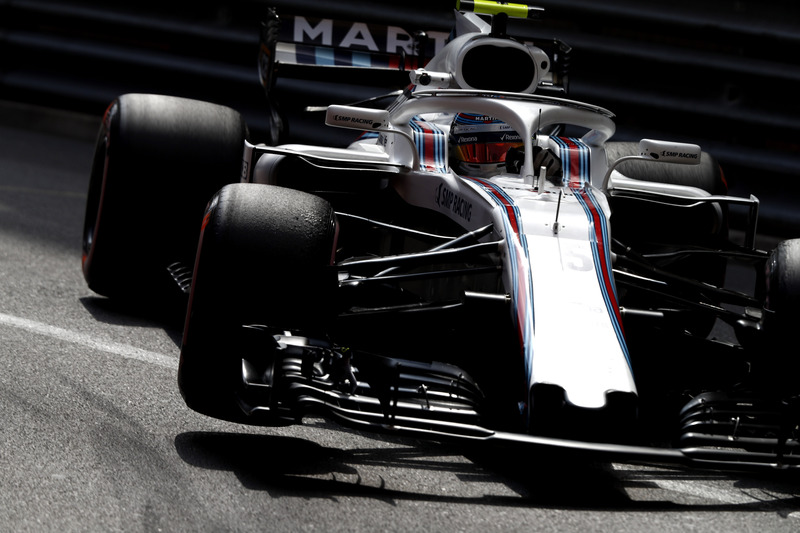 Sergey Sirotkin chats to Crash.net’s Lewis Larkam in an exclusive interview, as the Russian discusses a difficult rookie Formula 1 campaign and why he believes Williams is on the right path on the road to recovery. How would you assess your rookie season at the half way mark? SS: It has been a tough year for us, we had to back up the expectations we had in the winter when we found where we are in reality on the track in Australia and even worse in Bahrain. Since then it was quite tough to take it but for sure all of us changed a bit of approach and expectations as well. From there onwards I think, I know in terms of the results we cannot be happy, but we did a few very good steps. It is quite difficult to do the bright performance out there obviously with how we are and what we have but honestly there's been quite a many races I can be quite proud of. Again when you are in a position where it’s quite impossible to do something extraordinary. It requires from us drivers to always do a very good job. There has been many occasions when I knew that I did a very good job but no-one apart from the team could really see. I know the guys in the engineering know it, but its not what you see from the outside and it always pushes you to drive to the limit because somehow if you are forced to do it it is so visible that you underperform. At the same time it is quite difficult to jump on the other side and everything which seems very good just seems OK. So it has been a big challenge but I try to take the challenge as a challenge and try to enjoy fighting for it. It has been a tough year but I think I can be very happy with how I managed it, managed many things. Has the step up to F1 been tougher than you expected? SS: Yes and no. In terms of the racing itself, I think I have been around for enough time to understand how it should be. I have had enough experience to know what I should expect and it was as I expected. But for sure what I didn’t expect is how intense is the weekend itself being an F1 driver. The amount of attention I had from people, this was something which was… At the beginning of the year I tried to be nice to everyone and I tried to control many things and be involved in as many things as possible but in the end there is a limit where you don’t really want to be over. And for sure I’ve been quite well over at the beginning of the year, so since then we just regrouped a bit how we do things. Which things I have to prioritise myself, which things I am better to leave to someone else to manage and it became a much more relaxing race weekend. This is a challenge which for sure I didn’t expect to face but I think we managed it pretty well. You are the only driver yet to score a point this season, do you feel that is an unfair reflection on your performances this year? SS: It is unfair and fair at the same time because realistically we are not able to score the points based on performance. Even in certain occasions when we get lucky and so on it’s still not enough. To score a point nowadays, we need to have a very extraordinary situation, which we have to be sure we are using the maximum from it and then we can score a point. So I think it is a little bit unfair because it’s not that much more I can do from a driver’s side to improve. But at the same time it still doesn’t look good without points, but the people that really knows what’s happening, they know it. I feel quite confident about that but again, for sure there are many other things which don’t feel great not having the points. You are obviously going through a difficult period, and with yourself and Lance being such young guys trying to push the team forward, do you feel this learning process will help you later in your career? SS: There are many things which will benefit me later in my career. First of all I do enjoy to be in the team as I am, to know that I get this place within the team, to have this role within the team and all the development that will happen. I really feel like its appreciated, I really feel like I do have respect and I do have appreciation for what I am doing and how I am doing the things. It’s something which gives me a lot of motivation. I think I have a very good position within the team, I really have my role and I enjoy taking this role, being part of the team, being part of the big group of people and sharing my motivation with them. It’s a big challenge because it’s far more complicated than just jumping in the car and driving but I enjoy taking this challenge. Have you found it frustrating not being able to show your talents given the struggles you’ve faced? Especially as there is such a big spotlight on young drivers coming in and being expected to hit the ground running and do well? SS: I am quite sure the people who I want to know, they know. So I am not too worried about it but I do believe there are some situations where you know that you have done the perfect job, but very often even in an interview I am not able to say this because I know on the outside it didn’t look like it. You don’t want to come up there and say you did the perfect job because there’s not much people that know this. So it’s not going to make a good impression. So in this case it’s quite impossible to impress. It’s quite impossible to do anything but again I know that the key people in the team, they all know it and are aware so this is most important for us. You said after qualifying in Germany that you felt it was quite a key moment for the team, is the progress clear to see now and is the recovery well underway? SS: Yeah for sure. The good point is that it’s not only me saying that it feels better, also after the investigation it was fully confirmed by the numbers. It is a key moment because we’ve been in such a tough situation, we had some issues with research and correlation and so on, so the ideas we brought on which we hoped to solve the story, if they hadn’t worked as we hoped it means that we are kind of have even deeper fundamental problems to understand and correlate. But the fact that it worked exactly as we had it working on the wind tunnel and the CFD and made the changes exactly as we were looking for, it’s quite a key moment that we have passed the bottom part and quite well at coming back. Claire has said the team aren’t willing to give up on this season and will keep pushing with development to improve this situation, but does there come a point where the focus needs to switch onto 2019, because you don’t want to start next season on the back foot? SS: I’m not the best expert to comment on this. I think there is always a balance. The same as there is an independent group of people who are spending their time doing next year’s car, and this year’s car. For sure it should be the balance but again I’m quite sure there are better people than me managing and prioritise the situation. Do you feel Sauber are now unreachable? SS: I think where they are they are sure unreachable because they are well into the midfield. For us I think at the moment the key is to try, I wouldn’t say to score concrete results, but to find our concrete and strong recovery way and start to produce the things which are clearly correlated well to our expectations and that’s exactly what we want to get an understanding of the car and how it should perform and what it should do in different situations, which already will bring us, I wouldn’t say into the midfield but I would into the field. So we can do maybe more things in the race and use this as a base for the steps for next year. How important is it that a big team like Williams recovers? SS: I mean it is very important. It’s quite weird to realise that we have the slowest car on the grid because Williams is such a name and has such a big history. For me it doesn’t really matter how or where we based on performance wise, it’s always been a fundamental part of F1 and I never felt led anyone to think like this about us. We are a great team with great people and a great history. It doesn’t matter if we have one season with the slowest car, we will get back there where we think we deserve to be and where we have to be. 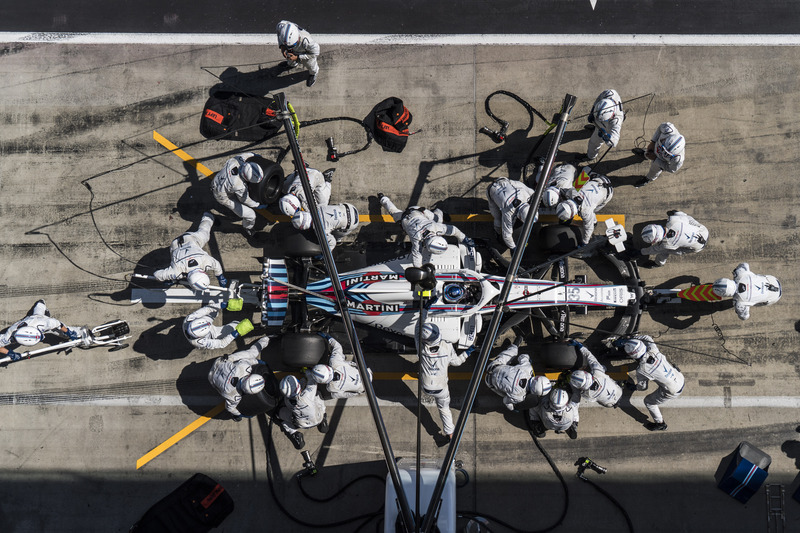 It’s quite important to not to let the people start thinking that Williams is the slowest car. How confident are you that Williams can pull this off and turn things around? SS: I’m very confident. Very confident.